Over a period of five days, I plan to blog about the research and history behind the idea of teaching with pictures. It’s actually quite fascinating, and sets up our release of three Habitudes® resources this month. Yesterday, we took a brief look at history and how cultures engaged their people with images. Below is part two. Since the turn of the 21st century, significant progress has been made in our understanding of the human brain. Neuroscientists’ research helps us now recognize the role of the right and left hemisphere, how males develop more slowly than females in adolescence, the importance of the pre-frontal cortex, and what causes us to both remember and forget ideas. Some of the most profound discoveries inform us of the importance of imagery within our thoughts and actions. These insights we now possess should stimulate leaders and educators toward the use of images and metaphors in their communication. Why is Teaching with Images so Effective? 1. The majority of people are visual learners. 3M reports that visual aids in the classroom improve learning by 400%. We like to see a picture, not just hear a word. We remember pictures long after words have left us. We retain the stories in speeches more than the words. We remember scenarios. Faces. Colors. Why? They paint a picture in a crowded world of content. Post-modern society is a world saturated with data. People process approximately 1,000 messages a day, digitally and personally.The only hope we have of our message sticking is to insure it contains pictures. 3. Metaphors can provide a language for people. When an image represents a truth or a principle, it can furnish a taxonomy for understanding a topic or even how to approach a project, or a situation. The pictures make concepts memorable and employable. When someone views the image, they rapidly associate it with the principle. This enables imagery to play a primary role in creating culture in an organization because every culture speaks a language. A set of images can quite literally represent an entire value system or set of behaviors an organization desires team members to embrace. 4. Pictures can accelerate understanding. As I’ve said, when an instructor uses an image to represent a timeless principle, comprehension deepens and accelerates. There is significant impact on the learner when a visual aid is connected to a verbal explanation. It actually speeds up the learning process. According to the 3M corporation, the brain processes visual information 60,000 times faster than text. People comprehend (in their head) faster when they form a picture in their heart. The entire brain is engaged. 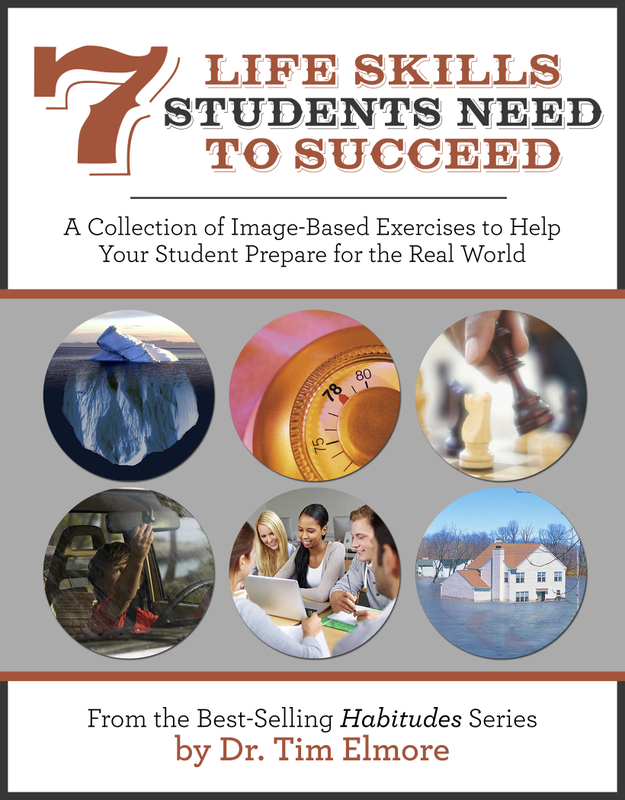 This means images can accelerate both learning important concepts and applying them to life. Tomorrow, I plan to post Part Two of this series—and whet your appetite to engage students with images, stories and conversations. Im doing research on the use of images as a leadership training aid, I’m battling to find any papers on the subject. Any help or direction will be appreciated.